In honor of the Bachelor tonight, I wanted to write on Emily's cute four leaf clover necklace. I have this necklace in black from NYLightMetals and absolutely love it! The necklace also come in silver as well as other colors. 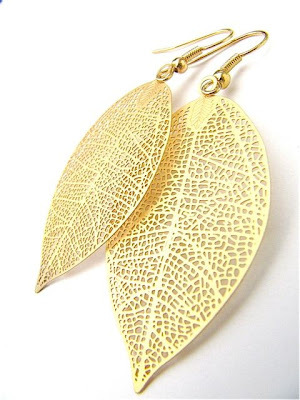 I would love to purchase the four leaf clover earrings next. And I have to give a shout-out to the girl responsible for my purchasing this necklace. Veronika showcased this necklace on her blog and I had to have it right away. Thanks for the inspiration! I have some earrings similar to these in silver, but I love the gold. 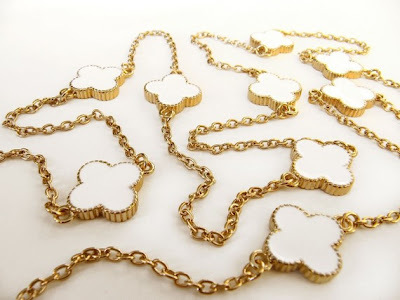 They are super sweet and delicate! I love the juxtaposition of gold and navy enamel. Very versatile and it would probably look great with my MK watch...doncha think? 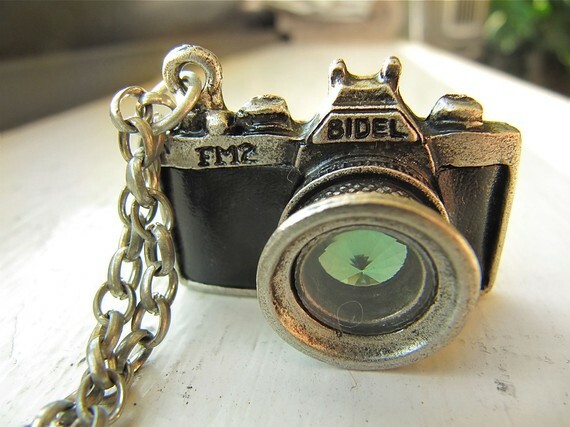 And for all you bloggers out there...how cute is this little vintage camera necklace? You'll notice the emerald green gemstone in the lens--what a nice touch! Maybe a nice gift from your loved one this Valentine's Day? If you're watching Bachelor tonight...enjoy! As Chris Harrison always says: It's sure to be the most dramatic rose ceremony yet! Her shop is beautiful! 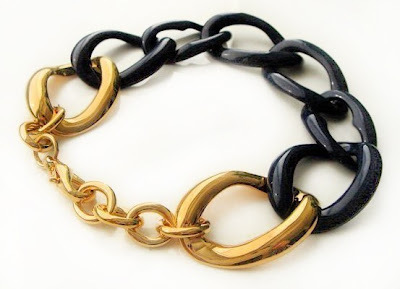 I love your necklace and I think I may have to purchase that navy and gold bracelet--love! Oh gosh, I love that camera necklace! It is absolutely adorable!! Oh my that is ADORABLE! Might have to have one of those myself!! And PS. he is TOTALLY picking Emily. He has to! She's adorable. Ooooh I love her pretty jewelry! How nice of you to showcase for her. Love that clover necklace! Now the big question - white or black?! Natalie-so glad you agree about the bracelet...love it! Megan-Isn't it? I thought it was unique and cute...especially for all my lovely blogger gals! Doreen-Thanks for following! Can't wait to check out your blog! I LOVE emily! Pick her! Pick her! Natasha, I keep seeing your pretty picture pop up on all the blogs I am commenting on! Had to come and say hi! 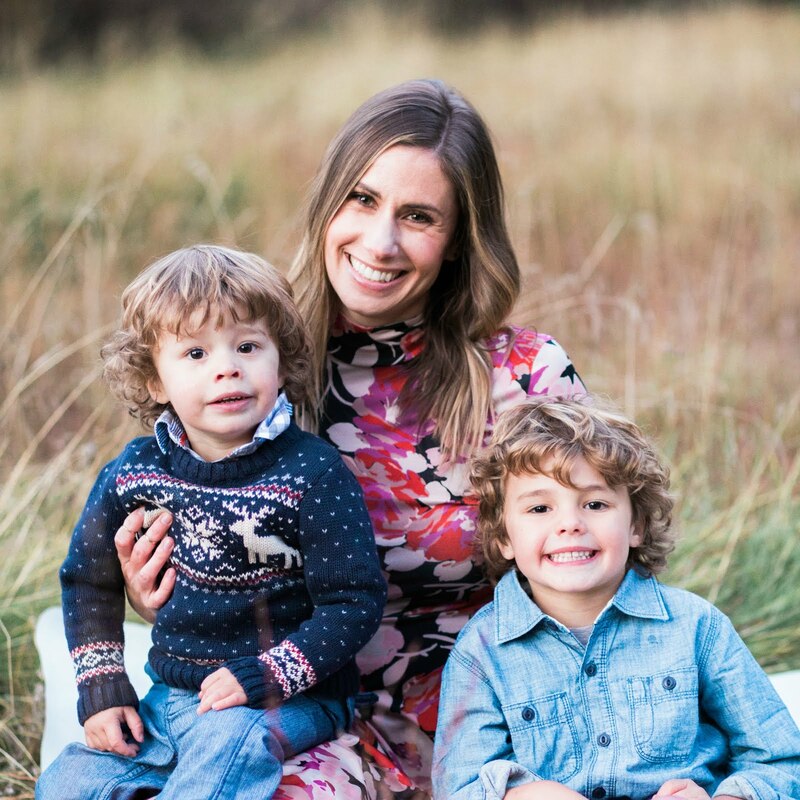 Ashlee-I've been hearing more and more about Stella and Dot...I need to check it out! I LOVE that camera necklace, where can I purchase that? I hadn't seen this post but just found it. Love a girl who features Emily! She had great style.